Your customer service reputation can literally make or break your business. Those businesses that stand out in the market have excellent customer service to back up their great products. It can be easy to overlook customer service if you become hyper-focused on selling your products or services, but there are some telltale signs that your customer service may be lacking. Here are five of them. Perhaps the most obvious sign of your customer service lacking is when the customer telling you it is. Social media has become a great platform for customers and businesses to interact through reviews. Paying attention to these reviews is essential to gaining insight into your customer’s minds. They’ll tell you exactly what’s wrong and what they didn’t like. If you don’t address the bad reviews (as well as the good ones) your customer service rating can take a dive. Remember that bad reviews may look bad, but it looks worse when nothing is done about them. Publicly addressing a bad reviewing and offering a solution shows your customer base that their feedback is meaningful and that you’re prepared to take the necessary steps to make it right. That is good customer service. When a new customer uses your product or service, the hope is that it was good enough for them to return to buy again; and again, ideally. If you’re finding that your customers aren’t returning, you may have a customer service problem. The dedicated customer is one who leaves a review, whether it be a bad or good review, but most people just stop using the product or service when they’re unsatisfied. It’s important to follow up your customer interactions with a survey, or short questionnaire to ensure you’ve done everything you can to satisfy their needs. This helps the customer understand that you care about what they have to say, and even if they’re unhappy with your product, you can make it up to them with future discounts or other incentives. When a customer calls, texts, or writes to your company, and ninety percent of the time it’s something negative, you may have a customer service problem. Constant dissatisfaction isn’t necessarily indicative of poor products, but rather poor customer service. The customers aren’t getting what they’re looking for from your staff or their overall experience with the company. You form a relationship with a customer when you sell to them or they hire you to perform a service. This relationship requires attention and care to nurture and bring them back. If every time a customer calls, it’s to complain, you need to take a look at what you’re doing for your customers to ensure their satisfaction. The internet has changed the way customer service operates, branching out from the traditional call center approach to customer service and moving towards real-time internet-based customer service. 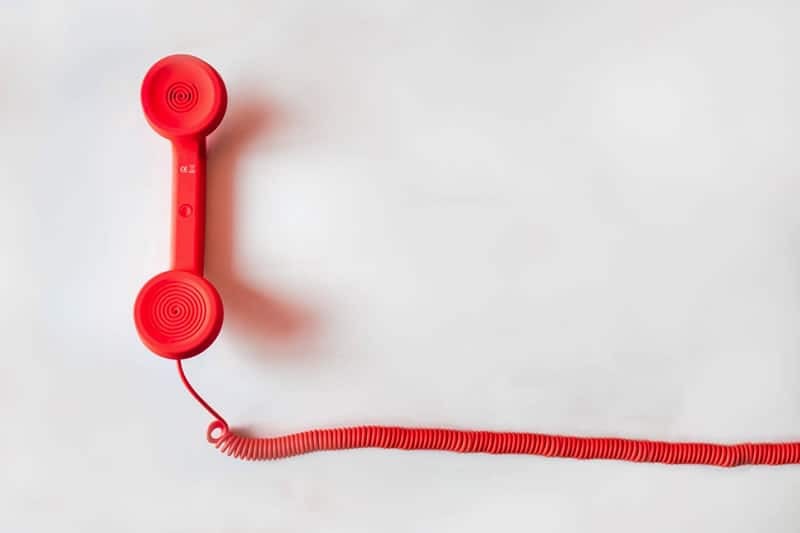 The trick is to make it as easy to as possible for your customers to get ahold of you, and if you only use one communication tool, this can be frustrating. There can often be long wait times on phone calls, long response times with online questions or messaging, and even long lines in a brick and mortar store. Be sure to provide multiple avenues for your customers to contact you. Set up a small customer support line, add real-time support to your website, and be sure to follow up with those reviews and messages on your social media accounts. You can hire someone to manage support or social media by itself, but be sure whichever route you take, your customers can reach you quickly and easily, and that your responses are swift and concise. There are a number of companies such as conferencecalling.com which offer conference call services for businesses for businesses of any size. Poor customer service affects more than just the customer and sales, it can affect your employees as well. When customers call or come into your business to complain, they can often get angry very quickly, making the confrontation equally unpleasant for the customer and the service rep. Your staff’s attitude is a huge red flag for poor customer service. There aren’t many people who can deal with a constant flow of angry customers, hurling insults and bitterness towards. Pay attention to your staff’s interaction with the customers. Are they mostly negative? Is there a frequent complaint? Are you noticing a trend in how your staff interacts with the customers? Make sure that you are offering support to your staff when unhappy customers arise. They’ll want to know they have a support system and aren’t left to deal with the issues on their own. If your employee turnover rate is higher than it should be, it could also be an indication of poor customer service. Most people aren’t going to stick around for very long if they’re constantly berated with unhappy customers. Having a great product means nothing without the customer service to back it up. Pay attention to reviews, repeat customers, and your staff’s attitude. Never take a customer for granted; if you want to create repeat customers, you have to follow up with them and show that you care about their opinions and their business. This is the most effective way to bring in new and repeat customers alike. Show them that your business values the customer/business relationship. Steam Cleaning Vs Traditional Mopping: Which Will Make Your Home Sparkly Clean?